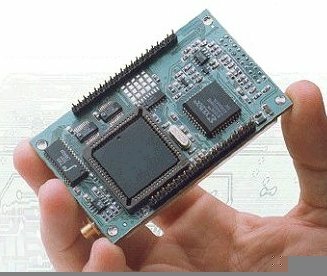 The MHX-910 is a 900 MHz frequency-hopping spread-spectrum communications module. Designed for embedded applications, the MHX-910 is a cost-effective wireless RS-232 solution, with the networking flexibility for deploying virtually any SCADA or Telemetry system.. The MHX-910 is the next generation of embedded wireless modems from Microhard Systems, specifically designed with SCADA and Telemetry applications in mind. Users have the ability to control many aspects of the signaling, data formats, and data framing, including Modbus protocol. The MHX-910 is built around Microhard's proprietary radio core, which provides superior interference rejection and communication range. In addition the MHX-910 incorporates a repeater mode of operation, extending the range of communication almost limitlessly. There is no restriction to the number of repeaters in a system - you can even use a repeater for data collection. Not only does the repeater store and forward packets of data, it also communicates with its own serial port and acts like any other slave in the system. 62 different user-selectable pseudo-random hopping patterns to offer the possibility of separately operating multiple networks while providing security, reliability and high tolerance to interference. Some hopping patterns avoid different segments of the 902-928 MHz band. Dimensions (WxDxH) Approx. 2.1" x 3.5" x 0.8"
1. Other baud rates are available. 3. Repeater also function as Slaves. There is no limit on the how many repeaters you can deploy. 4. Other versions available for Australia and New Zealand. 6. Optional -40 to +85°C available. reconfiguring any existing units - a tremendous time-saving feature.